We have several devices that can be used to safely mix fluids with fluids or fluids with powders. These devices can be supplied individually packed and sterile or in bulk. 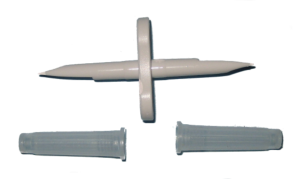 This plastic transfer spike can be used for safe mixing. It is supplied with 2 end caps to protect the spike in transit. Each device is individually packed and sterilised by EO. 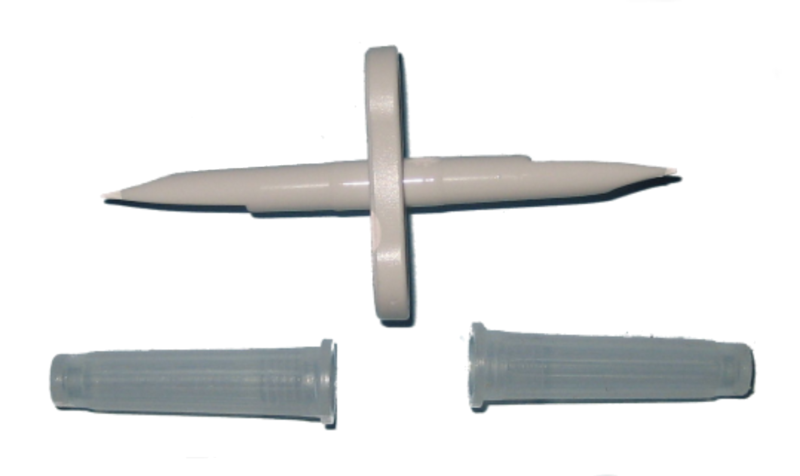 This plastic transfer spike can be used for safe mixing of fluids between bottles with 20mm diameter necks. It has wide bores for fast transfer of fluid and completely empties the vials. Please see below for a selction of the available packs or click on the link below to download a PDF file. Universal spike suitable for all bottle sizes. Supplied individually packed and sterile. 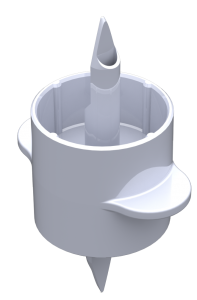 Only for use with bottles that have 20mm diameter necks. Supplied individually packed and sterile or in bulk. Spike can be custom coloured and insert customised. Please click on the link below to download a PDF file.